An interdisciplinary research group in Graz looked for biomarkers that could already provide indications during the first year of life of developmental disorders such as fragile X syndrome, which are still detected (too) late. The researchers analysed early-childhood vocalisation and movement patterns of children with a definite diagnosis. A vague sense of something being not right with your baby is one of the worst experiences a parent can have. When it comes to rare diseases, the path to diagnosis can become an odyssey, often lasting until kindergarten or preschool age. When parents who have gone through a long ordeal assist research into rare diseases, they save other families a lot of hardship. Peter B. Marschik, director of an interdisciplinary team investigating the developing nervous system at the Medical University of Graz, received support in his research on the early childhood appearance of fragile X syndrome (FXS for short) not only from the Austrian Science Fund FWF, but also from parents’ associations in Austria, Germany and the USA. Over the past five years, the scientists of the research unit “interdisciplinary Developmental Neuroscience” (iDN) at Meduni Graz have been studying medical records, parental surveys and family videos in their search for neuro-functional biomarkers for FXS that are already discernible in the first year of life. In the future, they are intended to provide a basis for an earlier specific diagnosis and genetic screening. “We found biomarkers in the phonetic patterns of new-borns and the random spontaneous movements produced by the nervous system during infancy. These early functions are crucial for further development and constitute a kind of training programme for the nervous system. For us, deviation from typical movement patterns and sounds are indicative of a developmental disorder”, says Marschik in the interview with scilog. The researchers took advantage of the fact that many parents are constantly video-recording their little ones – and shared these private records with them. In Austria, FXS affects one in 4,000 new-born boys and one in 6,000 new-born girls. Initially, the disease shows no perceptible signs. Among the rare genetic developmental disorders caused by a mutation on the X chromosome, FXS is the one that will most commonly lead to intellectual impairment. The behavioural deviations of FXS children are recognisable for experts, but they are not equally pronounced in all affected children. In very early phases of development it is often very difficult to distinguish them from other disorders. In cooperation with specialist clinics such as the Johns Hopkins School of Medicine in Baltimore (USA) and committed parents, the researchers from Graz collected and analysed data sets of 42 FXS children. The methodology of motor-function analysis is a spinoff of the screening and observation of premature babies. For the early detection of FXS the researchers used the principles of this method and developed it further by using intelligent audio analysis and machine learning. 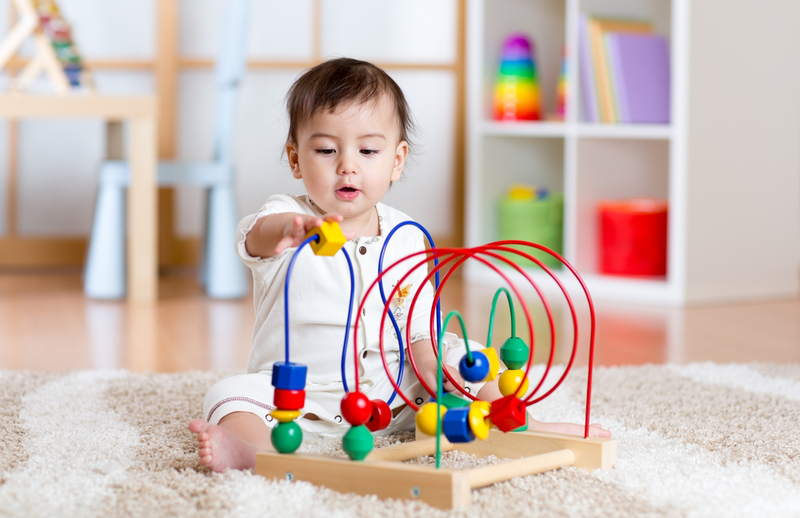 Detailed sound analyses enabled them to recognise isolated early childhood sounds as being produced by the FXS children with an accuracy of 76 percent in comparison with healthy babies. When all the sounds of one particular child were analysed, the recognition rate was 100 percent: “Certain behavioural patterns or, in this case, deviations from them are an expression of the integrity of the nervous system, and they take a typical form at every age, like a fingerprint”, explains the principal investigator. Video analysis of early childhood movements, which was partly made possible by a Citizen Science project supported by the FWF, also proved helpful. The team is currently working hard on devising appropriate technological support, since behavioural parameters recorded in the laboratory are more suitable for this purpose than video material evaluated retrospectively. Owing to the small number of cases, Peter B. Marschik qualifies this research as “first steps”. Together with his team, he hopes to further refine the method and define typical symptom constellations in different age groups, which are then also destined to be compared with other disorders such as Rett Syndrome or disorders of the autism spectrum. The principal investigator is currently preparing more far-reaching video and audio analyses in Graz and Göttingen, which are primarily concerned with the early detection of autism: “Our work aims at a better understanding of the first year of life and recognition of developmental contexts.” This will ultimately result in earlier help for families, better observation of infant development and an assessment of the success of targeted treatment. Peter B. Marschik is an Associate Professor of Physiology and Neurolinguistics at the Department of Phoniatrics at the Medical University of Graz, where he heads the “interdisciplinary Developmental Neuroscience” (iDN) group, which is engaged in the investigation of the developing nervous system. He collaborates closely with the Center for Genetic Disorders of Cognition and Behavior at the Johns Hopkins University School of Medicine in Baltimore (USA), the Center of Neurodevelopmental Disorders (KIND) at the Karolinska Institutet in Stockholm (Sweden) and the Clinic for Child and Adolescent Psychiatry and Psychotherapy at the University Medical Center in Göttingen (Germany).